The financial year 2017 may have just begun for property big guns SP Setia Bhd, but early signs have been promising and the company fully expects to hit its RM4 billion target for the year. Yesterday, SP Setia announced that the group achieved a revenue of RM940.2 million and profit before tax of RM174.4 million for the first quarter ended March 31 2017. It also secured sales of RM801.0 million over the first four months of FY2017. For the first quarter ended March 31 2017, SP Setia’s sales were valued at RM426.8 million, of which local sales contributed RM351.4 million representing approximately 82% of the total sales. Meanwhile, international projects contributed RM75.4 million. “The sales achieved were within expectations, which is consistent with the lower sales typically experienced during the Chinese New Year period and the shorter month of February,” said S P Setia president and CEO, Datuk Khor Chap Jen. During the first quarter, 2,587 units of properties with Gross Development Value (GDV) of RM571 million were launched. Other launches planned for FY2017 include: Setia Alam with GDV of RM292.0 million; Setia EcoHill with GDV of RM204.0 million; Setia EcoHill 2 with GDV of RM294.0 million; Setia Eco Park with GDV of RM147.0 million; Setia Eco Glades with GDV of RM67.0 million; Setia Eco Templer with GDV of RM73.0 million; Setia Sky Seputeh (Tower B) with GDV of RM478.0 million; KL Eco City with GDV of RM615.0 million; Setia Seraya Residences with GDV of RM278.0 million; Setia Tropika in Johor with GDV of RM123.0 million; Setia Business Park II in Johor with GDV of RM74.0 million; Aeropod in Sabah with GDV of RM177.0 million; Prahran in Melbourne, Australia with GDV of AUD38.0 million; and Exhibition Street in Melbourne, Australia with GDV of AUD478.0 million. Khor said the company is confident of a positive reception from the market with the upcoming launches, as they have been “meticulously crafted” to suit the needs of today’s property buyers. 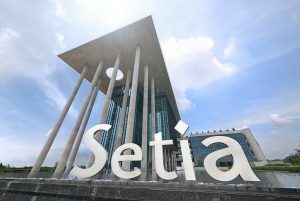 “Designs and functionality of our properties offered have to be relevant to the needs of our discerning buyers and that’s where Setia will continue to innovate and provide the best possible value-for-money offerings,” he said. The Setia EcoHill project is expected to be among the key performers in 2017. The group is also on the look-out for opportunities to expand its land bank and to stay ahead as the leading township developer in Malaysia. On April 14 this year, SP Setia entered into a non-binding Memorandum of Intent (MOI) with Permodalan Nasional Berhad (PNB) and Amanahraya Trustees Bhd (ATR-ASB) to commence negotiations on the proposed acquisition by the Group of the entire equity interest of I&P Group Sdn Bhd (I&P Group), which has 4,263 acres of remaining land banks. The indicative price for the Proposed I&P Acquisition is expected to be within the range of RM3.50 billion to RM3.75 billion. As at December 31 2016, I&P Group’s net asset value stood at RM3.16 billion. 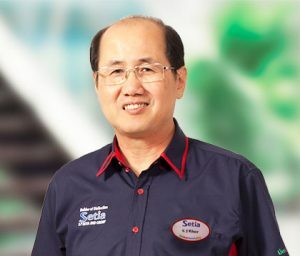 “Upon successful completion of this acquisition, besides significantly increasing our prime land banks in Central Klang Valley and Johor Bahru, we will be able to enhance and unlock the value of the synergy between Team Setia and I&P Group by delivering the best team, with the right expertise in one synergised approach. Together we are bigger, stronger and more capably positioned to offer properties and services that meet the needs of all of our valued customers,” said Khor. The company is confident upcoming launches will receive positive reception, says Khor. Also on April 14, the group entered into a conditional sale and purchase agreement with Seriemas Development Sdn Berhad, an indirect subsidiary of PNB to acquire a parcel of freehold land measuring approximately 342.5 acres located in Bangi, Selangor known as Bangi Estate for a purchase price of RM447.5 million. This equates to RM30 per square foot. 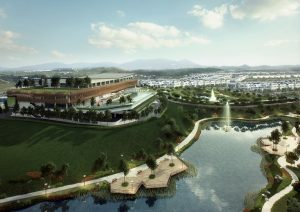 The site is located within a 5km radius from the SP Setia’s existing two townships, namely Setia EcoHill and Setia EcoHill 2. The Bangi land will be developed into a mixed development township with a potential GDV of approximately RM2.74 billion. SP Setia also recently won the tender for a parcel of leasehold land along Toh Tuck Road, Singapore measuring approximately 4.6 acres for a purchase consideration of SGD265.0 million from the Urban Redevelopment Authority of Singapore. The Toh Tuck Road Land will have an allowable development of 327 units of condominium with an expected GDV of approximately SGD457 million. According to the company, its prospects going forward remain positive with total unbilled sales of RM7.84 billion, anchored by 30 ongoing projects and effective remaining land banks of 5,141 acres with a GDV of RM75.72 billion.